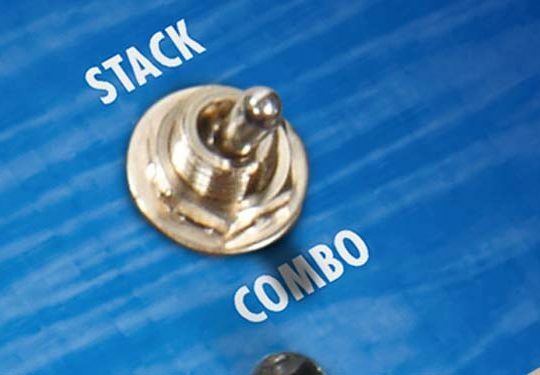 The Best Chorus pedal for Acoustic Guitar! 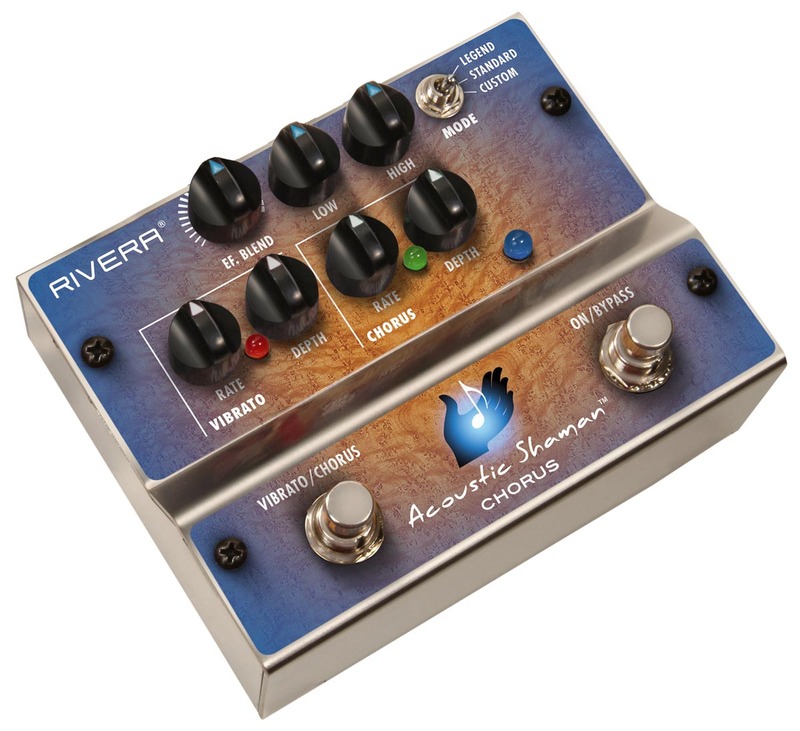 A true Analog Chorus/ Vibrato pedal with added Low and High EQ to especially enhance acoustic guitar tones. 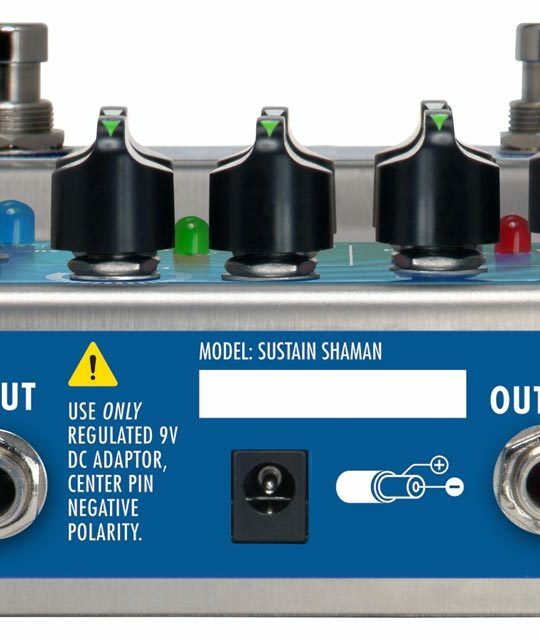 The first and only Chorus/Vibrato pedal to offer Unbalanced or Balanced input which is perfect for the balanced-output ES-equipped Taylor™ guitars. Hand built in Burbank, CA. 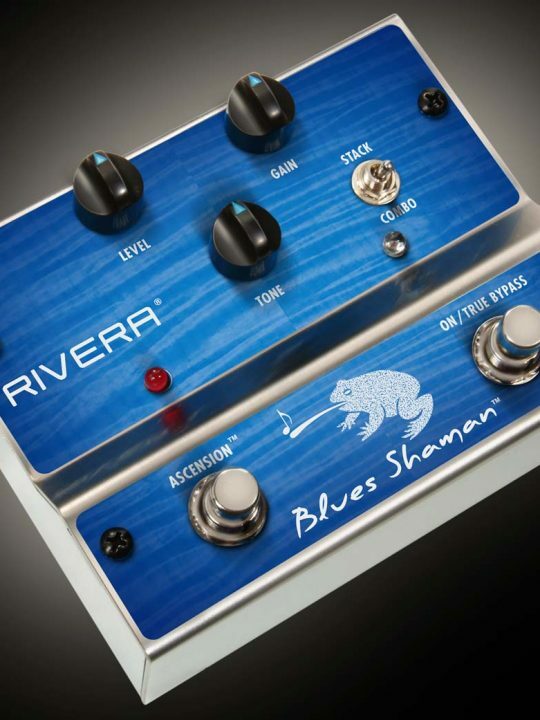 Rivera has a 35 year history with our modified Chorus pedals made famous by artists like Super Tramp to Larry Carlton. 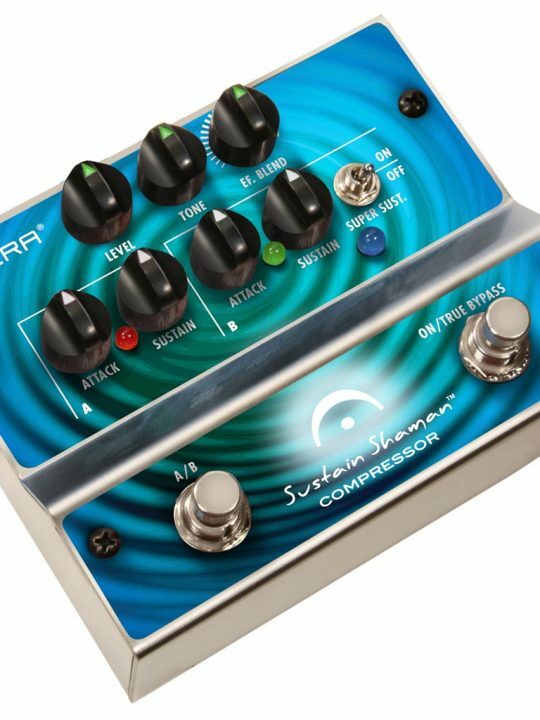 We have created from a clean sheet a balanced or unbalanced input, low noise, wide dynamic range Analog Chorus and Vibrato pedal. 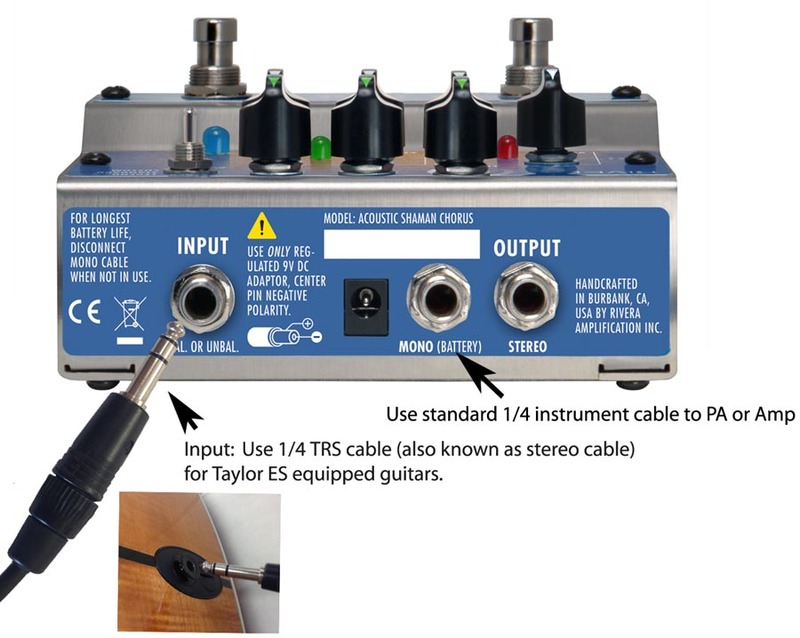 We are the only Chorus pedal optimized for the balanced output Taylor ES® pickup system. With any other unbalanced effects pedal, you are missing up to 6db of level, and not hearing the full tone of your Taylor®. 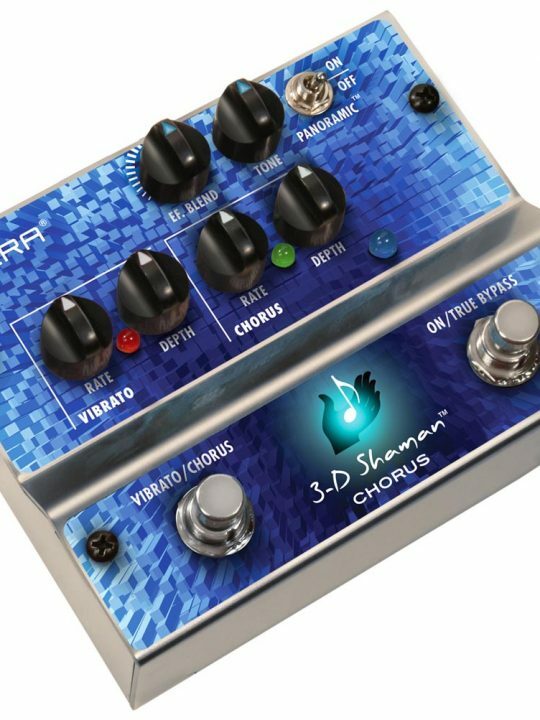 You can now have the perfect tool for the Chorus-Vibrato effect. 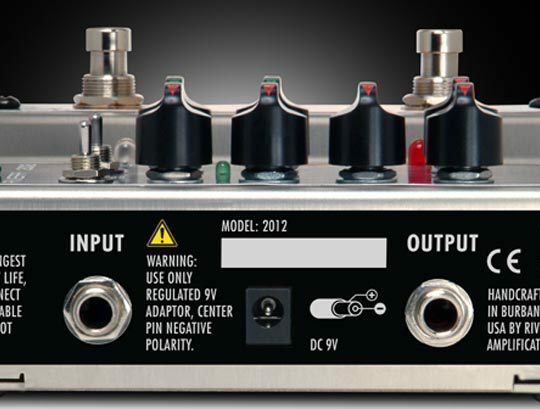 With two sets of LFO controls, you can independently adjust for swirling Chorus, or warbling Vibrato. 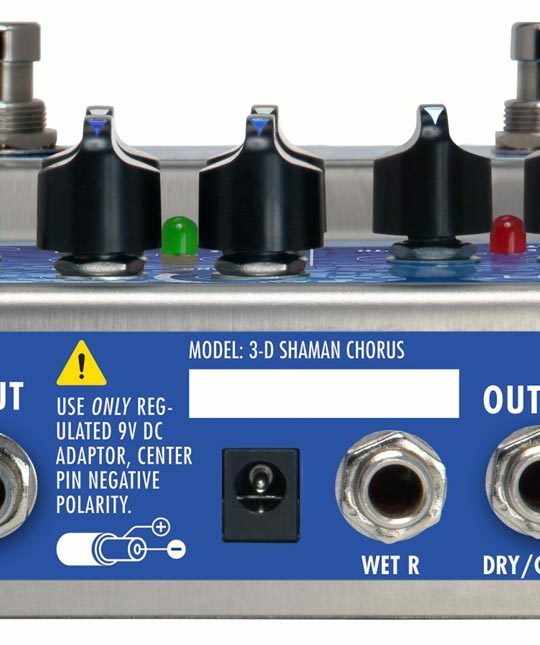 Our Mode control gives you 3 different Chorus-Vibrato effects. 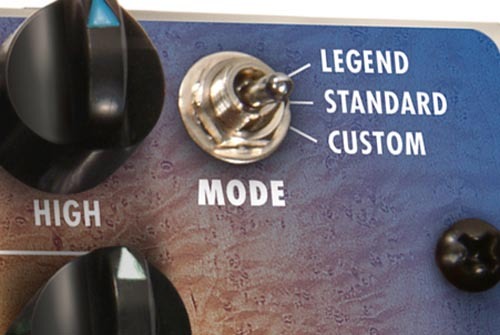 With 2 band EQ controls, you can adjust for shimmer and warmth. An Ef.Blend control gives you just the right amount of effect desired. 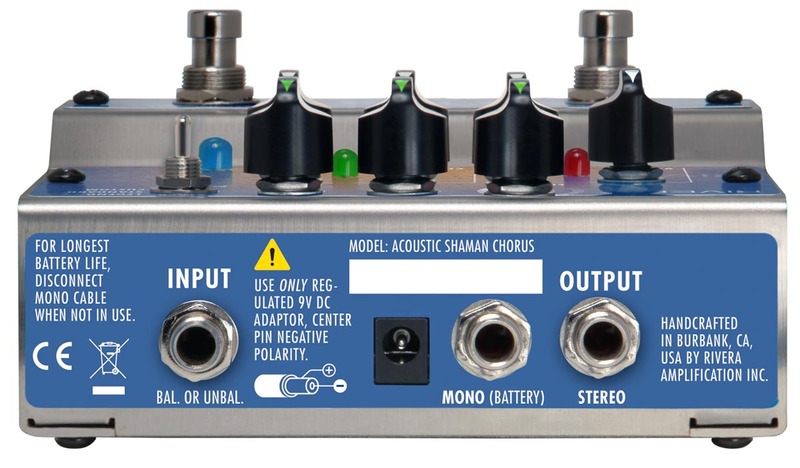 You can run in stereo or mono as well. 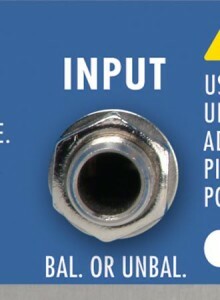 Above: 3 choices of width and dimension. 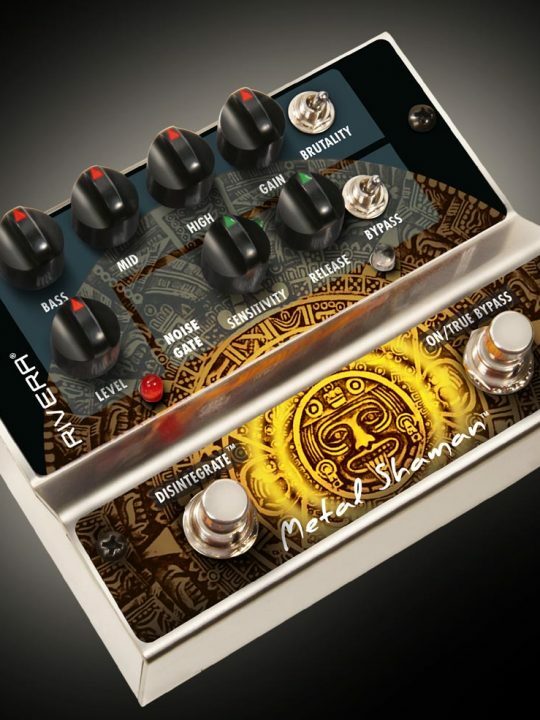 Within the Acoustic Shaman™-like all Rivera Shaman™ pedals, we utilize the finest in military and audiophile components, like WIMA® Polypropylene wound capacitors, Analog Devices® OP275 Chips, lots of discrete low-noise FET and Bi-polar transistors, film resistors, and metal barrel phone jacks.